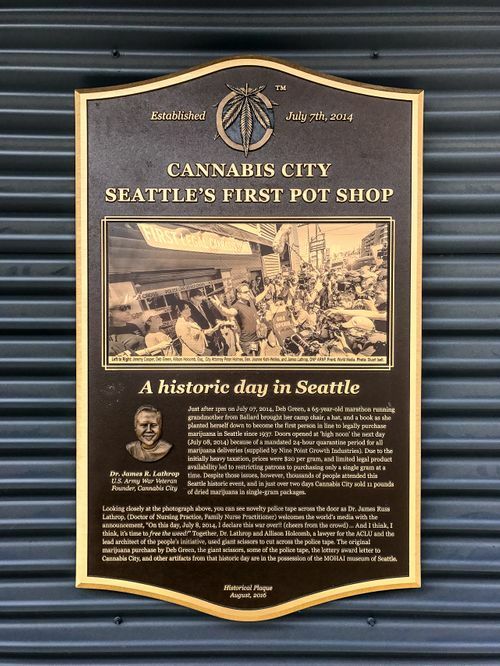 How do you price brass plaque usage for a pot shop? 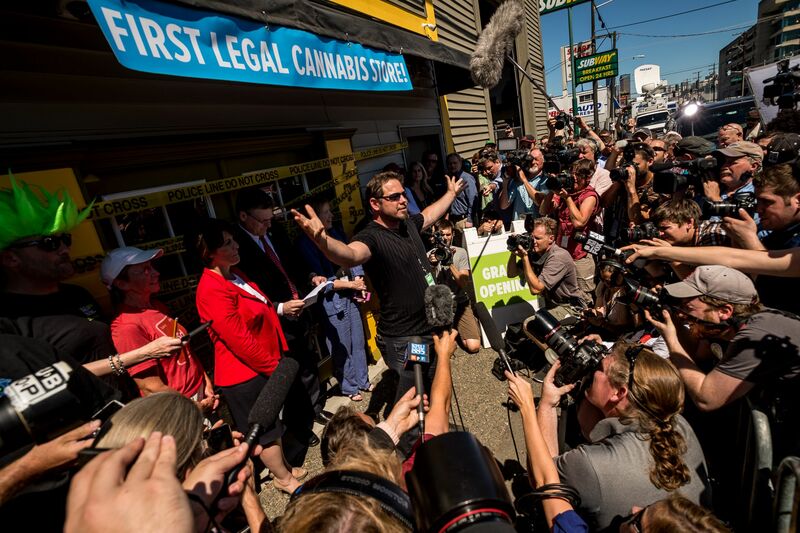 I finally checked out one of my most unusual image usages - a photo of the opening of Cannabis City, Seattle's first legal marijuana store, used by the owner on a commemorative brass plaque outside the store in Seattle's SODO district. I probably didn't charge enough but I'll be honest, but how often do you get an offer to turn an image into brass outside a pot shop? The original photo of James Lathrop celebrating his store's opening is below, part of the coverage I did for The New York Times.